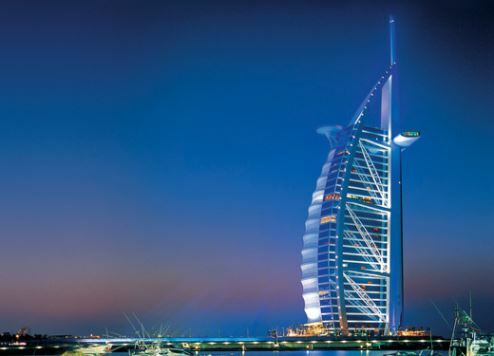 Dubai’s flourishing tourism industry has won a raft of accolades at the World Travel Awards Middle East. Votes recognised Dubai as the Middle East’s Leading Destination during the recent red-carpet awards ceremony at the brand new St. Regis Dubai. At the same time, the emirate took the title of Middle East’s Leading Meetings & Conference Destination, while the Department of Tourism & Commerce Marketing (DTCM), was recognised as the Middle East’s Leading Tourist Board. Dubai Tourism’s efforts to create a sustainable tourism industry for the future were noted too, with the Dubai Green Tourism Programme winning the Middle East’s Leading Sustainable Tourism Initiative category. And on the cruise front, an industry Dubai has set its sights on developing at a rapid pace, Dubai’s Mina Rashid was voted the Middle East’s Leading Cruise Port. Many of The First Group’s strategic Dubai-based partners received awards too, including Emirates Airline, which won the Middle East’s Leading Airline Rewards Programme and the Middle East’s Leading Airline Website, as well as Atlantis, The Palm, Dubai, taking the title of Middle East’s Leading Resort. Another partner, the Jumeirah Group, won several accolades including The Middle East’s Leading Luxury Hotel Brand while one of its most luxurious properties, Jumeirah Al Qasr at Madinat Jumeirah, scooped the Middle East’s Leading Hotel title. And when it came to the Middle East’s Leading All Suite Hotel, the iconic, seven-star Burj Al Arab, operated by Jumeirah, won hands down. Dubai International (DXB), which is the world’s busiest airport for international traffic, reporting a 78 million passenger throughput in 2015, was named the Middle East’s Leading Airport. Winners from the Middle East event will go forward to compete in the World Travel Awards Grand Final, which this year takes place at the Olhuveli Beach & Spa Resort in the Maldives on December 2.